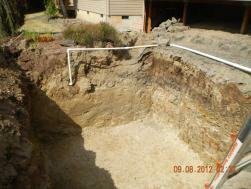 We know the solution to every septic system problem, and we are experts at fixing things fast. Septic Tank Emptying on a regular basis will prevent higher costs in the long run. Call Molly at The Drain Dr’s at 503-630-7802 for expert advice. will meet all of your needs. Regular maintenance is the best way to keep your septic tank system operating properly. If it has been awhile since you’ve had your septic tank pumped, call us for a free estimate. Your septic tank should be pumped every three to five years depending on the number of people (including children) that live in your house. 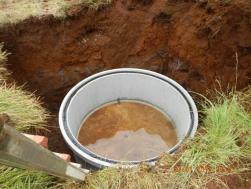 This will help with the health of your drain field and will help protect your groundwater health. We’ll be happy to answer any questions you have, before you schedule your appointment. While The Drain Doctors can fix almost anything that goes wrong with your septic tank, our goal is to make sure you don’t have a problem in the first place. 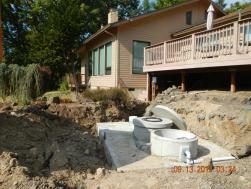 Ask us about septic tank emptying, evaluating your drainage field, or even updating an older system. Do you know when it’s time to call The Drain Doctor?